The BMW 8 Series (chassis code: E31) is a V8 or V12-engined Grand Tourer built by BMW from 1989 to 1999. While it did supplant the original E24 based 6 Series in 1991, a common misconception is that the 8 Series was developed as a successor. However, it was actually an entirely new class aimed at a different market, with a substantially higher price and better performance than the 6 series. It was BMW's flagship car and had an electronically limited top speed of 155 mph (250 km/h). Design of the 8 Series began in 1986, with construction starting in the same year. 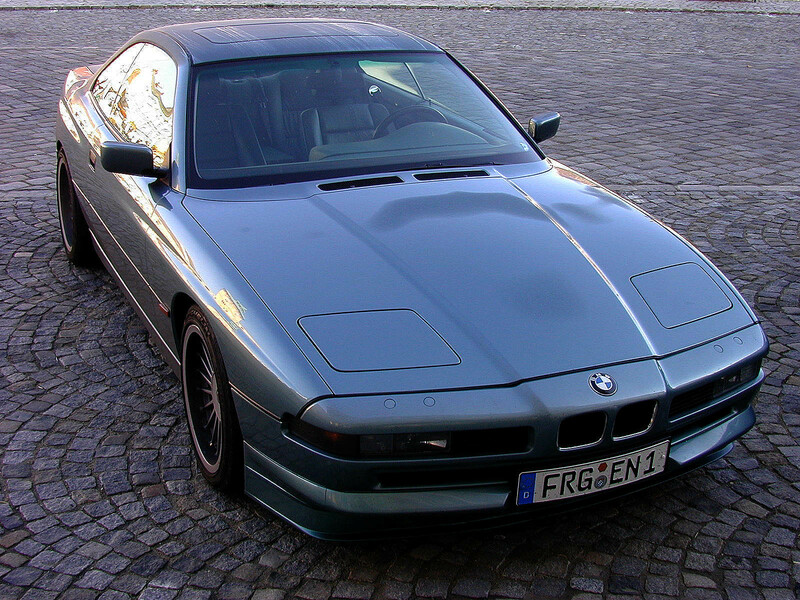 The 8 Series debuted at the Frankfurt Motor Show (IAA) in early September 1989. The 8 Series was designed to move beyond the market of the original 6 Series. The 8 Series however had substantially improved performance, as well as a far higher purchase price. 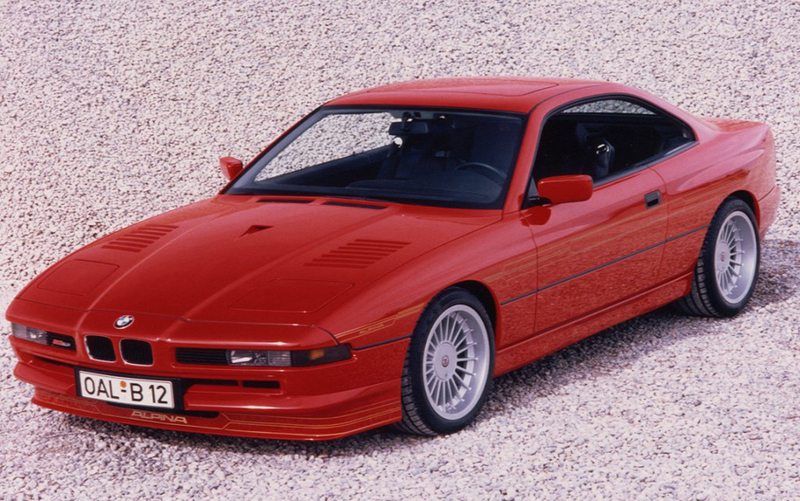 The 8 Series supercar offered the first V-12 engine mated to a 6-speed manual gearbox on a road car. It was also one of the first vehicles to be fitted with an electronic "fly-by-wire" throttle. 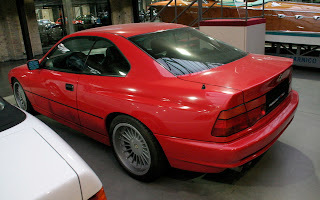 The 8 Series was one of BMW's first cars, together with the Z1, to use a multi-link rear axle. While CAD modeling allowed the car's unibody to be 8 lb (3 kg) lighter than that of its predecessor, the car was significantly heavier when completed due to the large engine and added luxury items—a source of criticism from those who wanted BMW to concentrate on the driving experience. Some of the car's weight may have been due to its pillarless "hardtop" body style, which lacked a "B" post. This body style, originating in the United States in the late 1940s, was abandoned by Detroit in the late 1970s. Sales of the 8 Series were affected by the global recession of the early 1990s, the Persian Gulf War, and energy price spikes. BMW pulled the 8 Series out of the North American market in 1997, selling only 7,232 cars over seven years. BMW continued production for Europe until 1999. The ultimate worldwide production total was 31,062. The base price for an entry-level 8 series in the early 1990s started in the US $70,000 range; $115,000 in 2012 dollars. The 840Ci exists with two different engine packages. 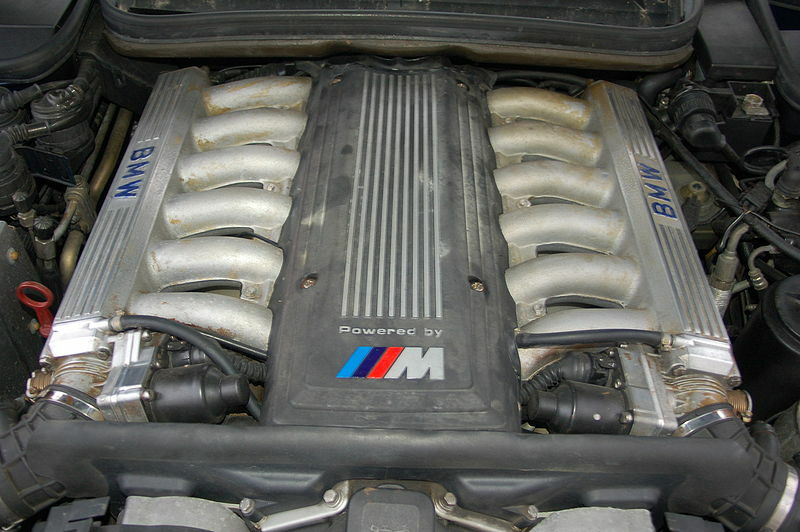 The first used the 4 liter M60B40 engine with 286 PS (210 kW) and was produced from mid-1993 to late 1995. From mid-1995, production phased in the newer 4.4 liter M62B44 engine, which had better fuel economy and more torque, though power output remained unchanged. The 840Ci was available with a 5-speed automatic transmission, though European cars were given the option of a 6-speed manual transmission. The only external features distinguishing the V8 model from the V12 models were the quad round exhausts, which were square in the V12 models, The 840Ci stayed in production until May, 1999. This was the first model launched in 1990 with the 5 litre M70B50 V12 engine producing 300 PS (221 kW; 296 hp). It was available with either a 4-speed automatic or a 6-speed manual gearbox. As the capacity of the M73 increased to 5.4 liters and the compression ratio went up, the power output rose to 326 PS (240 kW; 322 hp). As a top-of-the-range sports tourer, the 850CSi took over from the prototype M8. The 850CSi used the same engine as the 850i, which was tuned so significantly that BMW assigned it a new engine code: S70B56. The modifications included a capacity increase to 5.6 liters and power increase to 380 PS (279 kW; 375 hp). The 850CSi's modified suspension included stiffer springs and dampers and reduced the car's ride height. The recirculating ball steering ratio was dropped 15% over the stock E31 setup. The model also sported wider wheels, with the option of forged alloys. The front and rear bumpers were reshaped for improved aerodynamic performance. Four round stainless steel exhaust tips replaced the square tips found on other models. 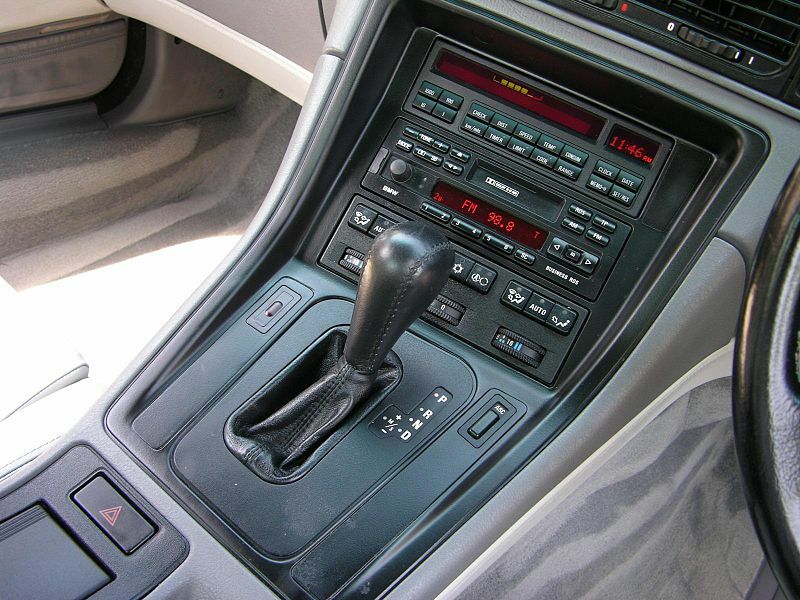 The 6-speed manual gearbox was the only transmission option. In Europe all 850CSi's came with four-wheel steering (AHK - Aktive Hinterachs-Kinematik). BMW tuner Alpina produced a special version of the 8 Series dubbed the B12. Two versions were produced, both taken from the standard production line. 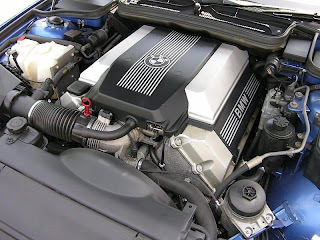 B12 5.0 Coupe was based on the 850i, powered by the 5.0-liter M70 engine producing 350 bhp (261 kW; 355 PS), and available only with a 4-speed automatic gearbox. B12 5.7 Coupe was based on the 850CSi, with the 5.7-litre S70 engine producing 416 bhp (310 kW; 422 PS) with a 6-speed manual gearbox. BMW tuner Racing Dynamics of Italy in 1991 produced a special version of the 8 Series dubbed the K55 Sport Coupe taken from the standard production line. 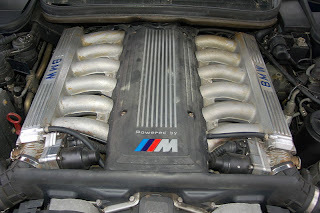 The K55 5.5 Coupe was based on the 850i, powered by the 5.0-liter M70 that was stroked to 5.5 liters, new valves, camshafts lifters and intakes along with extrude honed heads. The one US version engine producing 475 bhp (354 kW; 482 PS) and the Euro version producing 401 bhp (299 kW). 40 K55s were produced for the Euro market and one in the US. In addition to engine modifications, The K55 offered a variety of body, suspensions, rear end options. However, there is no verification of 475 hp (354 kW) produced by this car by Racing Dynamics. The K55 produces 380 hp (280 kW) and 549 Nm (405 lbft) of torque as listed in the 02/1994 Euro car magazine. Racing Dynamic's own website lists the K55 at 401 hp (299 kW). The 475 hp (354 kW) was declared by Autothority (as listed in the said Road & Track article). The 475 hp (354 kW) claim was never verified. Race car tuner PowerPlant racing of North Carolina, USA produced the most powerful Naturally Aspirated 8 series BMW. This was done by increasing the displacement of the M70 V12 engine to a 6.0L capacity. This conversion changes the stroke of the engine from 73 mm (2.9 in) to 86 mm (3.4 in), the bore from 84 mm (3.3 in) to 86 mm (3.4 in) and the compression ratio from 8.8/1 to 10/1. The 6.0 conversion on a stock rebuild makes 405 hp (302 kW) & 576 Nm (425 lbft) of torque. However, there are add on options of this program that increases the specifications to 455+ HP and 500+ ft·lbf (386 HP and 555 Nm (409 lbft) torque at the wheels) that is emission legal with completely civilized, stock drivability. The 830i was a prototype which did not reach production. As the potential entry-level model, the 830i was to use the 3-liter V8 with 218 PS (160 kW; 215 hp) from the 530i and 730i, known internally as the M60B30. Eighteen cars were produced, 13 of which had an automatic gearbox fitted. The model was dropped in favour of the 840Ci and almost all of the 18 cars were dismantled; one car is in a BMW museum. Originally envisioned as a Ferrari competitor equipped with a special 550 bhp (410 kW; 558 PS) version of the S70 engine, essentially a bored out version of the M70 with experimental multi-valve cylinder heads. A common misconception is that this engine powered the McLaren F1. However, when this was suggested to McLaren's designer Gordon Murray, the idea was rejected because the engine was too heavy and long for the McLaren F1. Rather, variations on the original S70 used on the 850csi, the S70/2 and S70/3 were used for the McLaren F1 (The variation used on the M8 prototype was the S70/1 engine). The project was eventually scrapped because BMW decided that there was no market for an M8. The only prototype ever produced (one that was reportedly not even road safe) was locked away by BMW in the company's Giftschrank (poison storage) . BMW and the M Division had strongly denied that the car was even a possibility since the initial stages of its development. A world exclusive feature in the February 2010 issue of BMW Car Magazine, however, revealed that the M8 prototype still exists in its entirety. The car was unveiled for the first time in front of journalists on July 2, 2010 at the BMW Museum in Munich. While the M8 was never produced, it is interesting to note that the 850CSi was also tuned by BMW's M division. Aside from sporting a M-tuned engine (as identified by the S suffix instead of the M prefix that a non-M tuned engine would wear), the car's VIN identifies the car as being built by BMW Motorsport (identified by the WBS prefix) instead of BMW AG (WBA prefix). This effectively identifies the 850CSi as essentially a detuned version of the M8. The 8-Series is a very rare car to see in any form of motorsport. However, one of the best examples was built by Wagenstetter Motorsport and, until recently, was raced in the Nurburgring VLN endurance championship. It’s based on an 840i, but now has an E39 M5 5.0-litre V8, which has 555 bhp (414 kW; 563 PS) and 472 lb·ft (640 N·m) torque, and a six-speed gearbox from the same car. The 840Ci (4.0/4.4l V8)These models were equipped with a 5-speed automatic transmission or a 6-speed manual transmission. The 850i/850Ci (V12) models each carry either a 4-speed automatic transmission or a 6-speed manual transmission,a 5-speed automatic transmission was fitted from mid-1994. The 850CSi model only came with a 6-speed manual transmission. 1997 United States Environmental Protection Agency estimates for cars equipped with automatic transmission. Last updated on 17 August 2013 at 13:47.